This campground in the Grampians, is where an old mill once served the area, and now by the creek that runs nearby, you can see some old ruins - we saw an old stone that belonged to a workers cottage. There are not a lot of ruins to see! 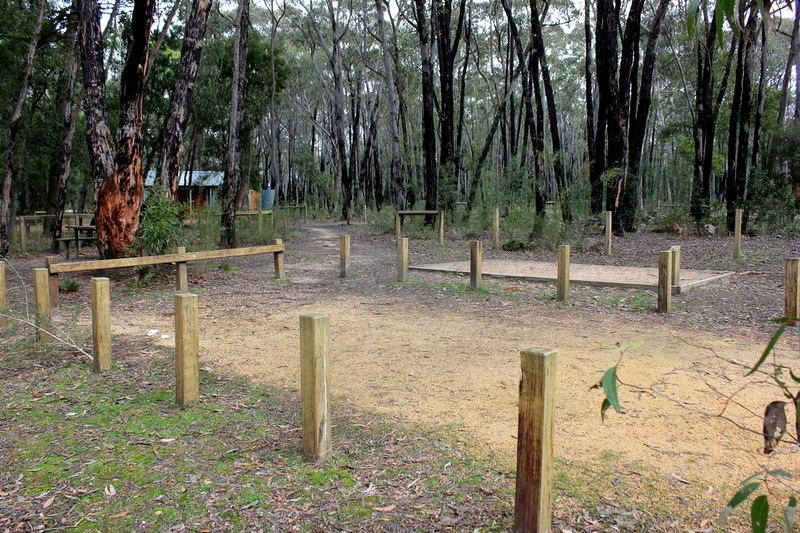 Set amongst tall pines, you will find this campsite has 25 sites available. This campground is a short drive from Mackenzie Falls and is clearly signposted. The book, "Boiling Billy Publications - Camping in Victoria" rated this as one of the best in the Grampians. We do not agree. We think there are better options, and prettier locations in the Grampians than this one. The 25 campsites are clearly marked and have a fine gravel marked plot for tents (small tents). Set amongst tall pines, the campground is spacious but there is no screening from campsites, so privacy is not possible if the place was busy. The shade from the pines would be welcome on a warm day. In winter, when we were there, we sought out sun! Caravan and camper trailers can access this campground, though there may be limited choice on sites. Advance bookings and payment are required year round. Bookings are for designated sites and are charged per campsite. 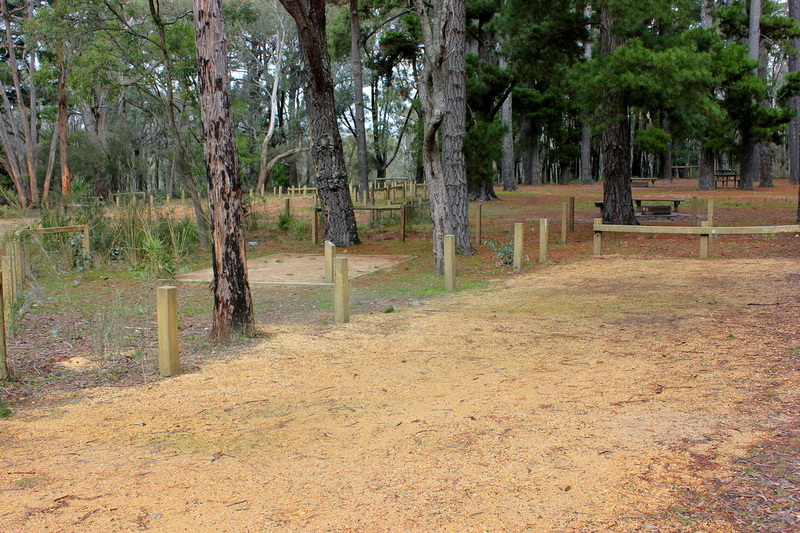 See the Parks Victoria website to book your campsite. 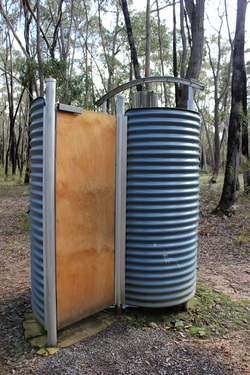 There is one toilet block (male/female/disabled) and a bush shower. The toilets are drop toilets and did smell a bit, even though the campsite was deserted. I wonder how they would go on a busy holiday? A tank holds water to wash your hands, but do not drink the water (or treat it). There are taps around that also use creek water, and once more, please treat any water before you drink. Ideally, bring all your own water. What is a bush shower? This to the left, is what it looks like in the Grampians. We have not seen them in South Australian National Parks . The showers are a small stand alone facility with a lockable door (heavy, and on a spring). You need to bring your own water (you can bring cold water, or have your water heated by campfire or whatever way you use to heat water), and then carry it to the shower.